Is your mind playing tricks on you? Only all the time. False motion. Tricks of perspective. Shifting colors. Such perceptual hiccups (and the beguiling illusions they inspire) are more than just trippy. They offer a window into the inner workings of our brains and their evolution. So what’s going on in our brains when our eyes deceive us? 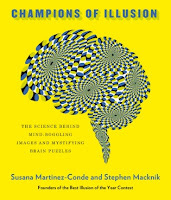 In this synapse-stretching talk, coinciding with the release of their new book, Champions of Illusion, brain scientists Susana Martinez-Conde and Stephen Macknik explore the “cognitive wonderland” of visual perception—where what we “see” is not always what it seems. Professors at SUNY Downstate Medical Center, Susana Martinez-Conde and Stephen Macknik study the brain using illusions and magic. They are the authors of Sleights of Mind and write the “Illusion Chasers” column for Scientific American: Mind. 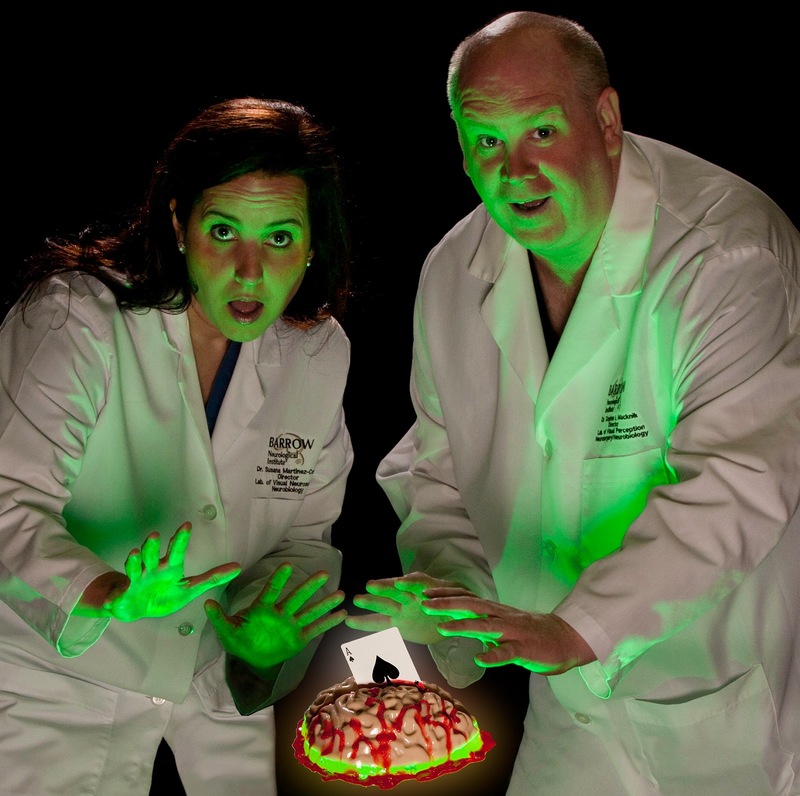 Their scientific research has been featured in the New York Times, Wall Street Journal, and Wired, and on NPR and NOVA. They are the founders of the Best Illusion of the Year Contest, which invites visual scientists, artists, mathematicians, and magicians to create new, astonishing illusions. 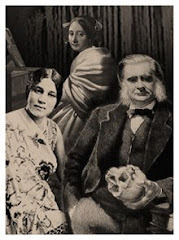 This eye-popping edition of the Secret Science Club meets Monday, November 20, 2017, 8pm @ the Bell House, 149 7th St. (between 2nd and 3rd avenues) in Gowanus, Brooklyn. Subway: F or G to 4th Ave; R to 9th St.